Superb beach location. Friendly and helpful staff. I unfortunately got severe sunburn & sick so had to cut my holiday short. Leanne & Wayne were so lovely, making sure I was ok and being so kind when I was letting them down by having to leave. I highly recommend staying here as they are the loveliest people and its a great hotel. I liked that the room was very clean. The best thing was the very short walk out to the sea and there were fish even in the shallow water. Snorkeling was excellent where there was an abundant range of fish to look at. Breakfast was great good selection. It was lovely how the man raked the sand every morning and cleaned the water bowl where we washed our feet directly outside our room. Being on my sixth visit gives the answer to the question to what did I like. The situation of the beach, especially if you have a ground floor apartment. The whole atmosphere of the hotel is a feeling a friendliness, comfort and relaxation. This rubs off on the guests as they loose all inhibitations of being with strangers, and from the first meeting at the communal breakfast, become friends. The safety of the property is significant for myself, being on my own. Obviously I feel safe in my room, also the area surrounding the hotel and on my walks for miles along the beach, whether it be 6 a.m. or 10 p.m. I had no reservations of walking out on my own. The eight days was one of constant pleasure, whether it rained or the sun shone. The staff at Moana Sands made this stay so special. They are absolutely amazing and the service we received was second from none. 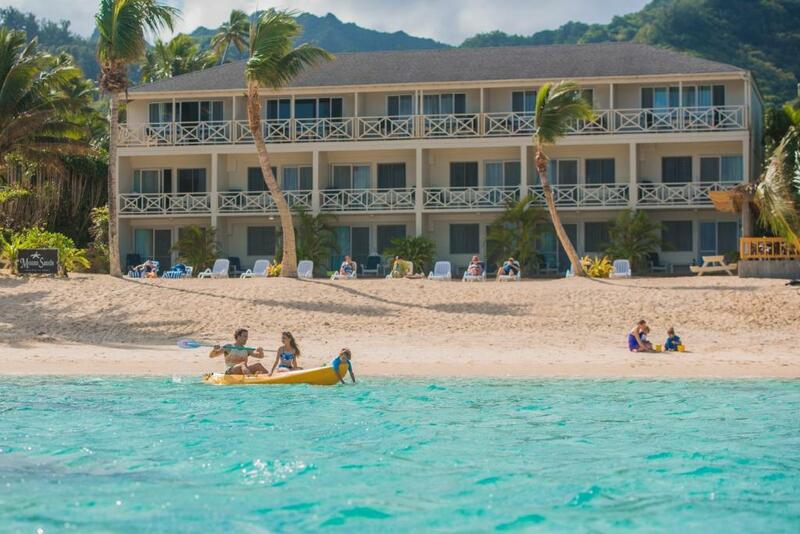 The location of the resort is spectacular- it was beautiful waking up with the beach right outside every morning! Can’t wait to go back! i Liked that the hotel wasn’t too big and busy. Had a nice relaxed feel to it and sometimes felt like you had the place to yourselves especially some days at the beach. 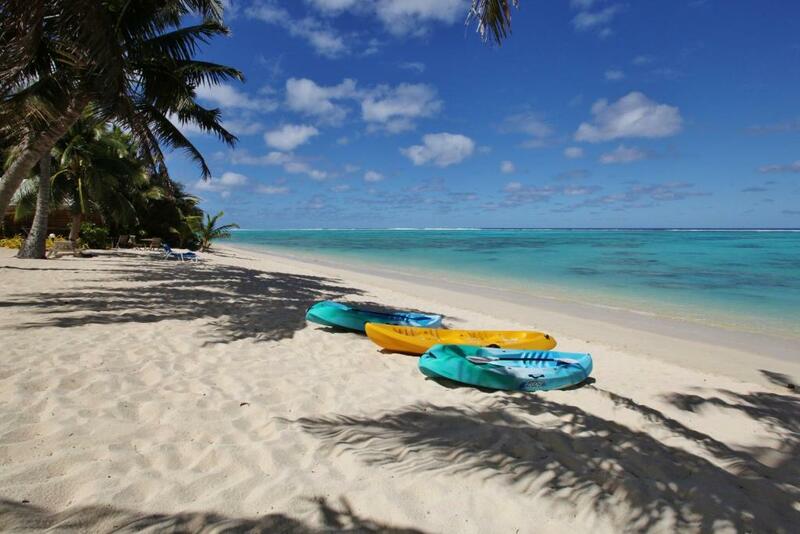 AWESOME location - if you want to lay on the beach and snorkel all holiday this is the place. 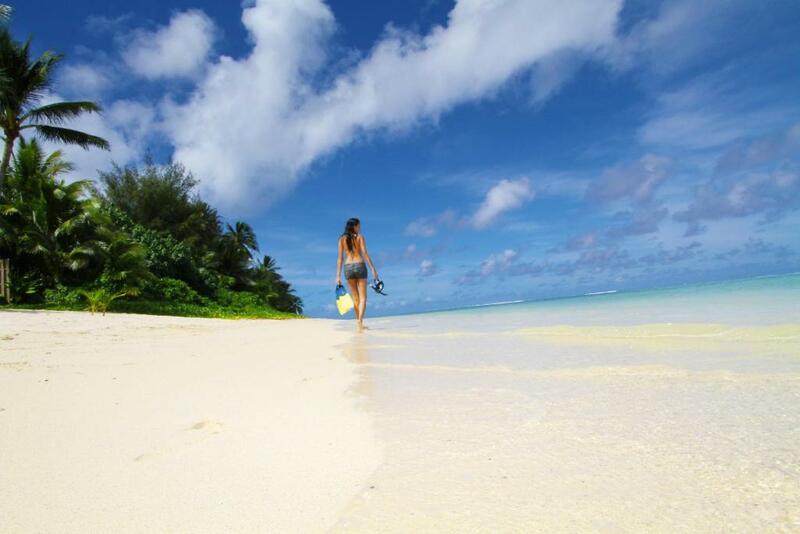 Best snorkelling and up there with the best beaches of the island. Moana Sands Beachfront Hotel: Varaa yöpymisesi huippuhintaan – arvosana 8,6 muilta matkailijoilta. 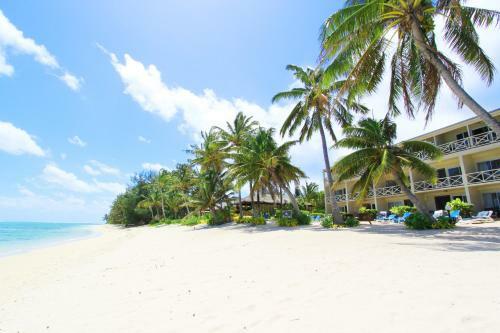 Located directly on the white sand beachfront of TitiKaveka, the 3-star Moana Sands Beachfront Hotel offers the perfect setting for a tropical getaway. 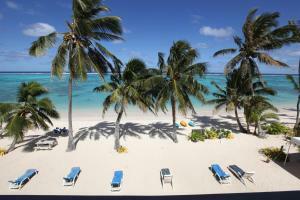 All air conditioned rooms offer sea and lagoon views. The rooms are also equipped with kitchenettes for guests who prefer to be self-catering. Guests can enjoy breakfast or dinner at the fully licensed Sands Restaurant. There are also beach-side barbecue facilities where guests can enjoy more casual dining. 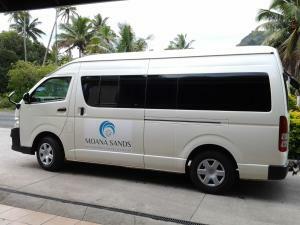 Moana Sands Beachfront Hotel on toivottanut asiakkaat tervetulleeksi Booking.comissa 30. maalisk. 2010 lähtien. Milloin haluaisit yöpyä majoituspaikassa Moana Sands Beachfront Hotel? This studio features a balcony, air conditioning and sea view. Maximum occupancy is 2 adult guests. 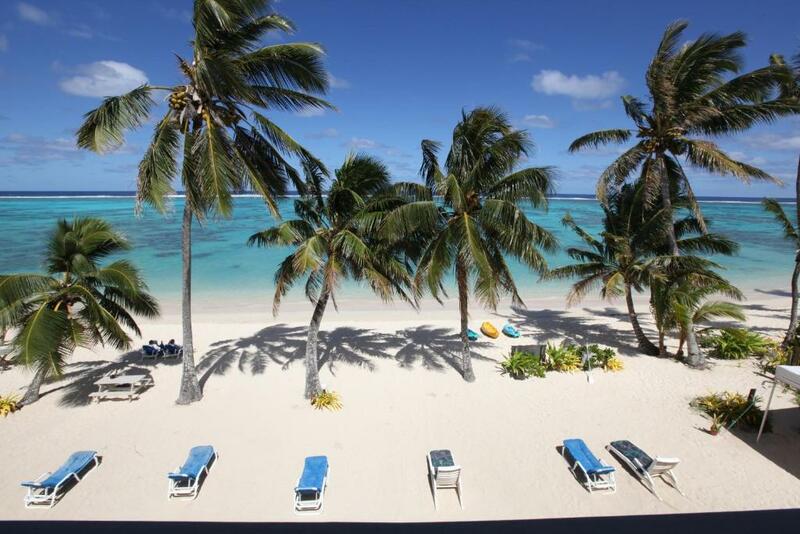 Not only is Moana Sands one of the oldest hotel here in the Cook Islands, it is also a family owned and run business. 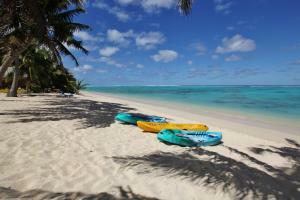 Being a boutique property for us means providing a true intimate Cook Islands experience. 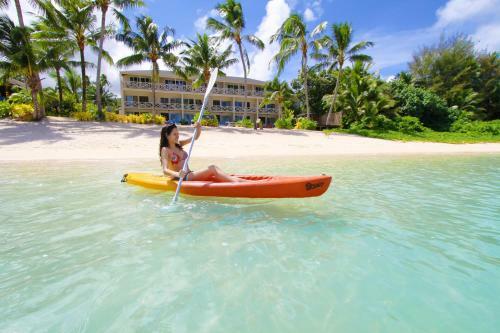 We endeavor to make each of guests stay memorable and exceed their expectation not only just about Moana Sands but Cook Islands as a destination. Mukavuudet: Moana Sands Beachfront Hotel Mahtavat mukavuudet! Arvioiden pistemäärä on 8,2. Wi-Fi on saatavilla osassa hotellihuoneita ja se on maksullinen. Talon säännöt Moana Sands Beachfront Hotel ottaa vastaan erikoistoiveita – voit lisätä sellaisen seuraavassa vaiheessa! Moana Sands Beachfront Hotel hyväksyy nämä kortit ja pidättää oikeuden tehdä kortiltasi katevarauksen ennen saapumista. Airport transfers can be arranged for a fee. Please use the details provided on the booking confirmation email to contact the hotel directly to organise a transfer. Ilmoitathan majoituspaikalle Moana Sands Beachfront Hotel etukäteen arvioidun saapumisaikasi. Voit kirjoittaa sen Lisätietoja-kohtaan varausta tehdessäsi tai ottaa yhteyttä suoraan majoituspaikkaan. Yhteystiedot löytyvät varausvahvistuksesta.